Drawing on the knowledge and experience of working with hundreds of the world's top social change leaders in all fields, Beverly Schwartz presents a model for change based on five proven principles that any individual leader or organization can apply to bring about deep, lasting, and systematic change. Rippling shows how to activate the type of change that is needed to address the critical challenges that threaten to destroy the foundations of our society and planet in these increasingly turbulent times. Presents some of today's most innovative and effective approaches to solving social and environmental challenges.Offers a vision of social entrepreneurs as role models, catalysts, enablers and recruiters who spread waves system changing solutions throughout society.The author offers a model of change that begins with the end result in mind.This is the first book from an insider at Ashoka, the foremost global organization on social change through social entrepreneurship. 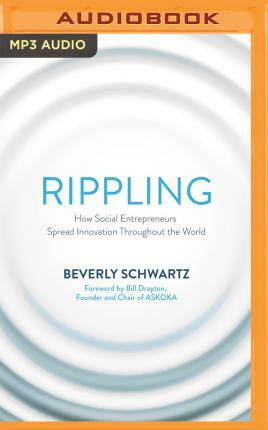 Rippling clearly demonstrates how and when empathy, creativity, passion, and persistence are combined, significant, life-altering progress is indeed possible.